NAVIGON, the popular turn-by-turn navigation app for iPhone, has been updated to version 2.1 and now includes Google Street View, manual route blocking, and an optional NAVIGON Cockpit in-app purchase. Anyone who's ever tried to find a restaurant, bar, or local business knows that knowing what it looks like on the outside can be vitally important to finding precisely where it is. It's not fun driving 30 minutes to get roughly there only to spend another 10 trying to get precisely there. NAVIGON knows this and is adding Google Street View so you can see where you're going even before you get there. Manual route blocking is more about putting power and control back in the users hands. Once in a while, we really do know better than the machine. So now, if a recommended route comes up, but we know there's some construction there, or just a fast food joint or ex's place we want to avoid seeing, we can tap it and forget it. NAVIGON will consider it blocked and route us around. Cockpit is like a heads-up mode for driving data. It's all your important info, all in real time, all right where you need to see it. That includes everything from gForce to speed to position. While Cockpit isn't part of the free update, it is available at the same time for $5.99 and could be a lot of fun for off-roaders and performance enthusiasts alike. NAVIGON is currently the best turn-by-turn navigation app for iPhone for anyone who needs world-wide options and offline support. You can download just the maps you need, when you need them, and have them on your iPhone even when your data connection gets flaky. These new additions and options just make a good thing better. If you already own NAVIGON, go get your update. If you're planning a trip this summer and need a great turn-by-turn navigation solution for iPhone, go check it out. It's currently on sale until July 16. 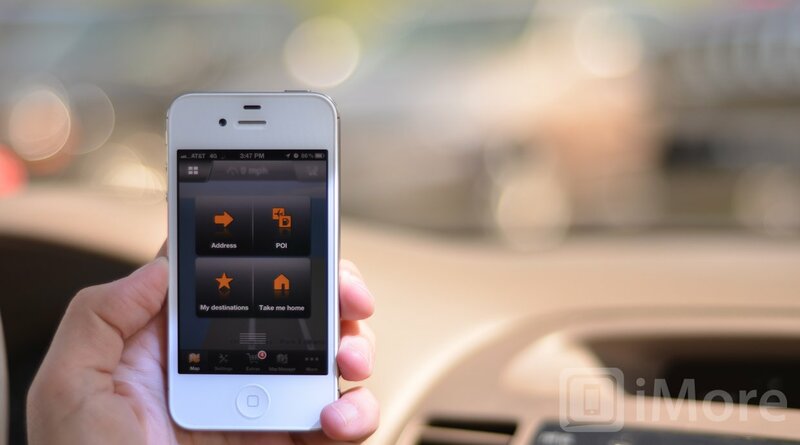 A new version of the NAVIGON iPhone navigation app is now available in the App Store, right in time to guide travelers through the Fourth of July travel period. The free update 2.1 includes Google Street View, NAVIGON Cockpit (in app purchase), manual route blocking and other functions. Additionally, the NAVIGON apps for iPhone and selected in app purchases will be available at a reduced price until July 16, 2012. When using in-car navigation, it can sometimes be challenging to find the right building at your destination, especially if one can’t recognize the house number without leaving the car. The new Google Street View function of the NAVIGON app provides users a street-level image of their destination before starting a route, helping, for example, to identify a specific building upon arrival. Users can even look at a full screen 360° view to get a better understanding of their destination's surrounding. Shortly before arriving at the destination, the Google Street View image slides in again, making it easier to identify the correct location. A new Cockpit function displays relevant driving data in real time on a cockpit-like screen. Captured data includes gForce (current and maximum value), speed, horizontal and vertical position, and an adjustable speed and altitude graph. Drivers can use this information to see a snapshot of their driving habits. Also included is a dedicated off-road screen with compass and altitude information for off-road driving. NAVIGON Cockpit is available as an in app purchase for $5.99. The new and easy to use manual route blocking function allows users to view their route on a map and block certain sections of it by simply tapping them. The app will then automatically calculate an alternative route. This feature is available in route planning mode and during navigation and allows users to better customize their route according to their own preferences. This is especially helpful when navigating in familiar territory, since users can avoid going through a certain city or taking a highway they’d like to navigate around. In response to customer feedback, we improved the start-up time and map rendering performance of the NAVIGON app. Zooming and panning in the map view is now faster as well. Also included in the app update are enhanced iPad retina display graphics and an optimized map manager interface with new controls for downloading and deleting maps. The North American NAVIGON apps and in app purchases are available at a reduced price until July 16, 2012.